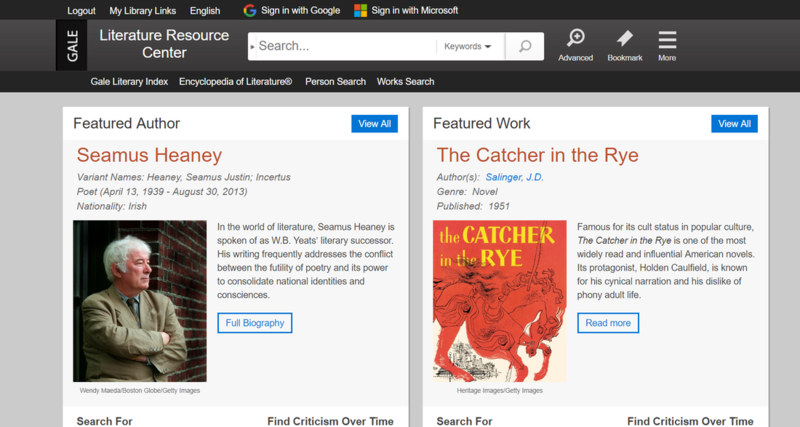 The Literature Reference Center allows users to search for literary works that span from Catcher in the Rye all the way to Cat in the Hat. This site also allows students to search through information about authors. I appreciate that users can search keywords in order to find works of literature. For example, I searched “basketball” and found a piece of literature about Michael Jordan. The website tells me about this work of literature and shows that there are reviews and news articles about this work of literature. At the bottom of the home screen there is a link to search with the site’s Topic Finder tool. 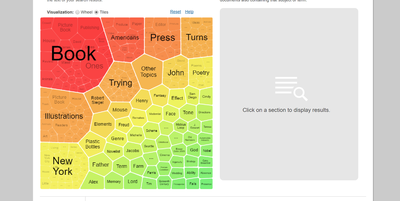 This tool is very engaging and fun to use. 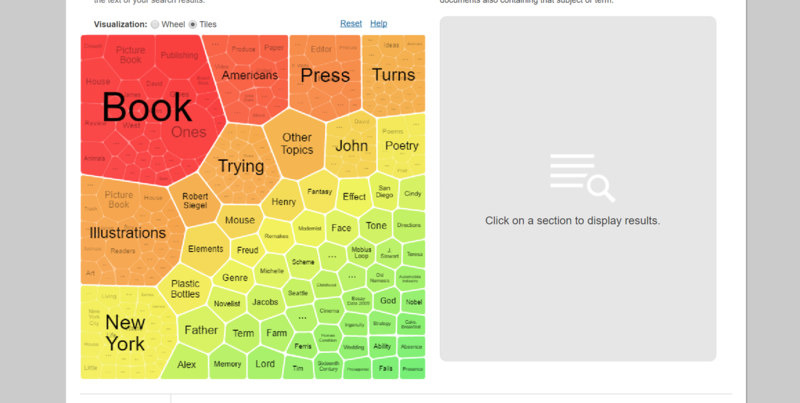 Teachers as well as students will enjoy searching for keywords and then viewing the results of their search on a wheel or tiles. 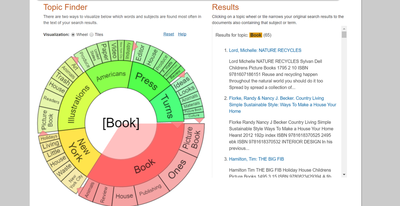 The Topic Finder shows your results as books, press, illustrations, Americans, New York. I searched the term, recycle, and imagined being an elementary school teacher searching for a picture book about this topic. 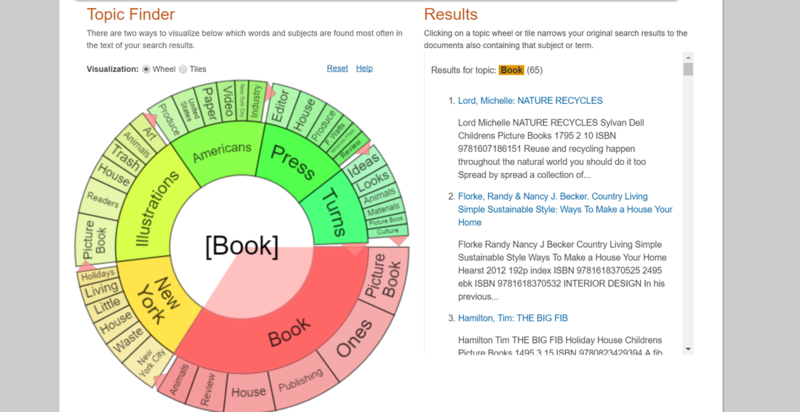 The Topic Finder immediately sorts the results and a teacher can select “books” and then “picture books”. I am then left with 16 book results. The homepage also has a Term Frequency tool. I searched the term “presidents” and can see how frequently this topic is written about in each year. I can see that there were 640 documents about presidents in 2000, and then 937 documents about presidents in 2001. I would use this tool to ensure that when completing a project or assignment that my references are recent and up-to-date. While exploring this resource, I searched, The Great Gatsby. I was then able to view an overview of the story. Many students will appreciate that the overview has an option to be heard through audio. I can also view related topics: American dream, Scott F. Fitzgerald, Jazz Age, and Wealth. These would be topics that students could further investigate if they were studying this novel to gain a better understanding. A teacher may use these related topics to assign group research while the entire class is reading this novel. This resource allows students and teachers to view literature criticism, biographies, topic and work overviews, reviews, news, primary sources, literary works, images, links to audio and interviews, and reviews. This is a useful resource for researching and learning more about authors and literature works. Grades: 8 and up. Subject(s): Literature. Overall rating: 8.